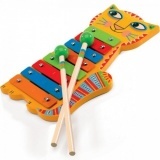 These great quality wooden musical instruments are great for unleashing children's creativity. 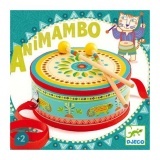 The plan wooden drum and xylophone look beautiful and make pleasant, tuneful sounds. A tambourine, a maraca and a castanet! Choose from Bedtime songs, Playtime and Action songs or Birthday songs! Three options, each with a lovely selection of classic tales! From the Gruffalo to the Highway Rat! Load these brilliant figures with your own audio! An audio box which allows you to listen, sing or tell your own tale! Protective case for up to 20 Tonie figures!